Bookmaker.com.au is one of the newer additions to the Australian bookmaker scene. The Aussie market is still not as oversaturated as the European and American ones. The lower competition alone makes the Australian market a great place to start a betting company. 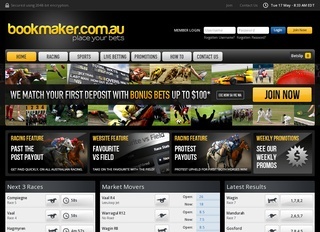 Bookmaker.com.au began operating back in February 2012. Although the business is 3 years old, the service it offers is top notch and people prefer the company to other competitors. Bookmaker.com.au is licensed and regulated by the Norfolk Island Gaming Authority. However, the head office of the company is in Brisbane, making the business Brisbane-based. The global popularity ranking of the website is in the top 310000, with a tendency to rise. Bookmaker.com.au is among the 7500 most popular websites in Australia. To get up to such popularity in just three years means a lot. However, in September 2013, Ladbrokes plc. decide to expand to Australia. As a part of this expansion, Ladbrokes acquire Bookmaker.com.au and continue to operate the business as Australian-owned. A distinct similarity can be seen between Ladbrokes and Bookmaker.com.au – they use the same markets and odds. The websites are quite different, though, with varying design templates and sign-up promotions. The website design is among the best in the world. The clean shapes and lines, combined with black, white and light-grey leave a bit of space for a dash of yellow highlights. Everything is easy to find and very effectively placed on the page layout. The design itself varies a bit from the regular three-column ones. Bookmaker.com.au utilizes only two columns, the middle showing the races and odds, while the left one contains information about races, sports and others. At a first glance, it looks like Bookmaker.com.au is focused on racing bets, but this is not the case. The sportsbook has grown significantly in the last two years. Players can currently place their bids on three types of racing – horse, harness and greyhound – and more than twenty sports. The racing section of the website allows the punters to view all current and future events with ease. Players can also check the featured races, results and scratchings. For those who like to be in the action – you can listen live on Bookmaker.com.au’s website. The sportsbook of the Aussie online bookie offers 26 sports plus politics betting. That’s right – if you aren’t much into sports, but are an avid political analyst, you can bet on recent elections and other events from the high echelon. Other than that, players can enjoy soccer, basketball, olympics and many more. The new betting options here are listed under the Novelty category in the menu. Bookmaker.com.au allows its customers to bet on entertainment, financial and current affairs. Ready to bet on December’s Interest Rate Decision, or Sydney’s end of year property value? Then dive into the financial market on the website. I have to say, this is something new for me. I haven’t seen many (if any) websites that offer betting on finances and current affairs. These options feel like a breath of fresh air and I’m sure a lot of other people are thinking the same. Sadly, Bookmaker.com.au does not offer any casino or poker games yet. We all hope this will change in the future, but until then – you are in just for the quality betting service. The odds on Bookmaker.com.au are good, just like the odds on Ladbrokes. Some of the highest paying markets are the exotic combinations in horse racing. The four options – Quinella, Exacta, Trifecta, First Four – are all very hard to get right, but yield excellent rewards. The soccer markets are numerous and vary from match to match. There are usually more than 80 markets for the more popular teams. Players can bet on high paying markets like Double, Handicap, Asian handicap, Corner, Goal and Half. Of course, the regular betting options are also available. Bookmaker.com.au is a bookie that cares about the personal details and transaction information of the players. For your safety, the company utilizes advanced Secure Sockets Layer, 2048-bit encryption. Be sure that your data and transactions will be safe from harm. Players can contact the bookmaker in various ways. The website hosts a contact form, which is easy to fill out and even easier to send. If writing is not your forte, you can contact Bookmaker.com.au by phone or e-mail. The hotline works all around the year. The online bookie also offers an international betting line and customer support line for people outside of Australia. You can check the viable ways to contact the bookie in the table we prepared for your leisure. This online sports bookmaker accepts ten types of currencies. Aside from the currency, you can deposit and withdraw money to your account by some of the most popular payment options. You can see all this information in the table here. The Australian bookmaker offers a variety of bonuses for newcomers and veterans alike. The first deposit is matched with bonus bets up to $100. The bets vary in types, so there is always a bit of surprise there. 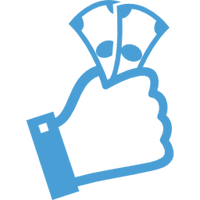 The bookie also rolls regular weekly promotions that differ from week to week. Register now and see what the latest offer is!